Isaak W. Redekopp was born on March 24, 1910 in South Russia, to William and Katherine Klassen Redekopp. When he was only five years of age, his mother died. This event was a traumatic experience for him and he never ceased to feel deeply for those who grieved the loss of a loved one. He was converted at the age of twelve. In 1924, the family emigrated to Canada, settling at first in southern Saskatchewan. Redekopp was baptized in 1925 and received into the Mennonite Brethren Church. Following this, he attended the Winkler Bible School for three years, graduating in 1934. Then he completed high school through correspondence courses and evening classes. He married Anna Janzen, in June, 1936; the couple had six children. The Redekopps moved to Winnipeg where he was employed at various jobs. At the same time he was active in the North Kildonan Mennonite Brethren Church Sunday school and other avenues of service. In 1942, Redekopp was ordained to the ministry in the Mennonite Brethren church, and served in that capacity until his death. In order to prepare himself for this ministry, he studied at Tabor College, Kansas, and at Wichita, Kansas, from 1944–48, and received degrees from both institutions. On his return he accepted a call to the pastoral ministry in the North Kildonan Mennonite Brethren Church. In 1954 he accepted the pastorate at the Elmwood Mennonite Brethren Church, and for thirteen years he ministered there with much love and devotion. Looking back on those years, he often spoke of them as the richest ones of his life. During the years in the pastoral ministry he also taught at the Mennonite Brethren Bible College, was active in various conference committees, and in the local pastors' fellowship as well. After he completed his ministry at the Elmwood Church, he spent a year at Houston, Texas, training for pastoral and hospital counselling ministry. Following this he accepted a call to assume the pastorate at the Willingdon Mennonite Brethren Church, Burnaby, British Columbia. Two years later he returned to Winnipeg, and shortly thereafter joined the staff of Eden Mental Health Centre in Winkler as clinical counsellor. He served in this capacity until the time of his death. His wife, Anna, died in May, 1973. On January 3, 1974, Redekopp married Lottie Janzen. Not quite three months later, on March 24, 1974, he died in Winnipeg. The Isaak W. Redekopp fonds was donated by Lottie Redekopp on 7 October 1993. Earlier, in 1981, she also contributed many books and periodicals from Redekopp's library. In 2014, Elmwood M.B. Church donated several boxes of files related to the church's history. Among these boxes was one box of church bulletins from a dozen different M.B. churches in the U.S. and Canada (dated 1962–1966) that appear to have been mailed to I.W. Redekopp and which he collected. The Isaak W. Redekopp fonds consists of a sermon collection with indexes compiled by Redekopp, original papers, books, and printed materials. Personal papers include M.A. theses, several other academic papers, scrap-books, note-books and several published books. 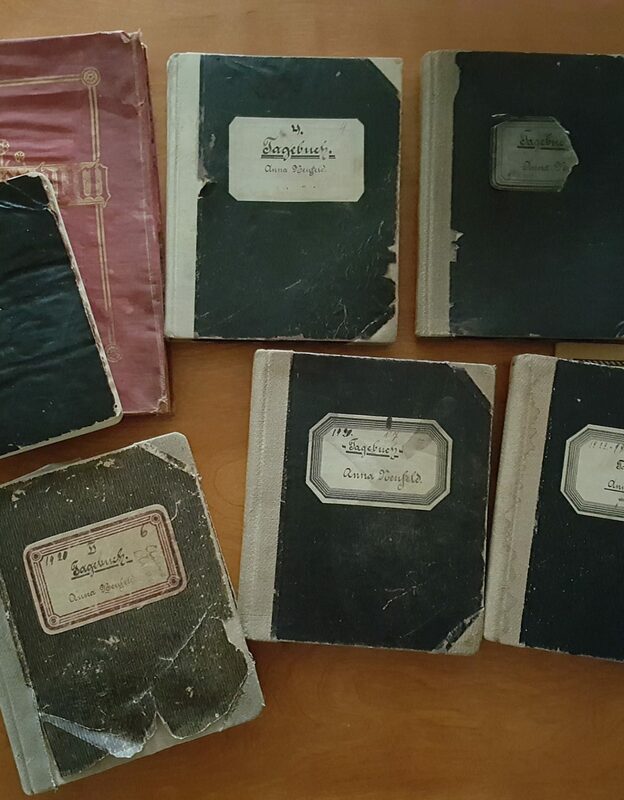 The scrap-books, which include pictures and write-ups beginning with Heinrich Voth the evangelist and continue until 1965, are a rich resource for researchers of Manitoba Mennonite Brethren history. The fonds also includes a lengthy unpublished biography of Redekopp by John Regehr. Redekopp's B.Th. dissertation and M.Sc. theses are located in the J.A. Toews library. The tape is of a German sermon preached at the Elmwood Mennonite Brethren Church in Winnipeg on November 7, 1965. Updated by Jon Isaak, December 2017. Accession numbers are 1981–9, 1981–50, 1993–44, 1993–46, and 2014-17. See also audio cassette tape: NA-19–32. Biography of I.W. Redekopp, "The Barefoot Shepherd" by John Regehr. Manuscript I. Edited by David Duerksen. 137 pages. -- 1978. Biography continued. "An Adventure in Pastoral Humanness: Pastor of the Elmwood Mennonite Brethren Church 1954–1967," by John Regehr. Manuscript II. Edited by David Duerksen. 125 pages. -- 1978. Research material, mostly responses from pastors, for the above biography by John Regehr. -- 1976–1977. Personal and church-related correspondence. Includes Christmas letters from the Redekopps from 1961 to 1973. -- 1956, 1960–1973. Sermons, including farewell sermons to Elmwood MB Church in 1967 and to Willingdon MB Church in 1970. -- 1944–1970. Church related materials – bulletins, minutes. -- 1954–1970. Educational records, including counselling course at Houston. -- 1944–1976. Articles, some by Redekopp. -- 1960–1974. Biographical, genealogical, tributes, and personal records. -- 1967–1974. Notebook from I.W. Redekopp's time as a student at Winkler Bible School. -- 1933–1934. Two notebooks of poetry in Gothic Script. Black duotang binder of collected papers from the Christian Education Conference, Winnipeg. -- April 1965. "Systems of Psychology." Redekopp's term paper at Kansas State Teacher's College at Emporia. -- 1947. A scriptural text sermon index and a sermon index by location and event. Alphabetical subject index for sermon collection in first drawer of two drawer metal file cabinet with sermons filed in an alphabetical system. -- 1949–1966. Drawer two is filed chronologically. -- 1967–1970. Two Volume scrapbook compiled by Anna Thiessen for I.W. Redekopp entitled: Die Entstehung und Entwikelung der Mennoniten Brueder Gemeinde in Winnipeg 1907–1966. The Pentateuch by Leslie T. Holdcroft (San Francisco, CA: Gararden Publishing House, 1951). -- 1951. The Historical Books by Leslie T. Holdcroft (San Francisco, CA: Gararden Publishing House, 1952). -- 1952. I.W. Redekopp church bulletin collection. This is a collection of church bulletins from a dozen M.B. churches mailed to and collected by I.W. Redekopp: (River East [Winnipeg], Fort Garry [Winnipeg], North Kildonan [Winnipeg], Elmwood [Winnipeg], Portage Ave. [Winnipeg], Winker [Manitoba], Morden [Manitoba], West Portal [Saskatoon], Winnipeg Central, Virgil [Ontario], Dinuba [California], Butler Ave. [Fresno, California]. -- 1962–1966.